Skirting around the evidence to pick cherries. dana tunai agunan bpkb on The anti-vacc movement; an Australian perspective. stormflugan on The Vega test – a spectacular rip-off. Sticking up for science. Whose job is it? Maggie is the pseudonym of a cell biologist working in ageing research in Sydney Australia. 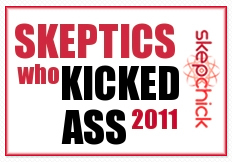 Pooh Pooh is the official blog of the Skeptic Zone Podcast. Wordpress theme "Modicus Remix" by Art Culture. © Copyright 2008 The Skeptics' Book of Pooh-Pooh . Thanks for visiting!